Years: 1949, 1961, 1973, 1985, 1997, 2009. The distinctive quality of the Ox is insistence, not persistence because the Ox’s yin Earth makes for a certain fragility, more of a curtain than a rampart. The Ox is in many ways, the most sensitive year animal. This is often expressed in what looks like obstinacy but is better understood as puzzlement at being disagreed with. In discourse you may find that an Ox has firm principles that on examination are not principles at all but more like prejudices or assumptions. They are often nonetheless firm as well as correct for all that. As a rule, don’t expect flexibility of mind from an Ox; they know what they know and are often not keen to venture beyond. The Ox’s gifts are very often practical rather than intellectual. The intellectually gifted Ox is extraordinarily powerful. Because of her position between the Rat and the Tiger, the Ox can sometimes vacillate between a fierceness that does not suit her and a Rat-like charm that she may not be able to sustain. With her allies the Snake and the Rooster, she forms a team which is of the metal element. That is to say that the alliance is linear, judgemental and competitive. Where the ground rules are clear, this is an unstoppable combination. These three make a great legal team with the Rooster charming the jury, the Snake unearthing information that no one else could find and the Ox sticking to the point. When the rules are unclear however, the metal alliance can falter. Then the Ox can become judgemental in a more covert sort of way, being less liable to argue than to judge silently. Without the Snake and the Rooster, the Ox is more barrack room lawyer than barrister. Working in such a team, the Metal, that is the qualities of logic, reason and competition, is less important than consistency. 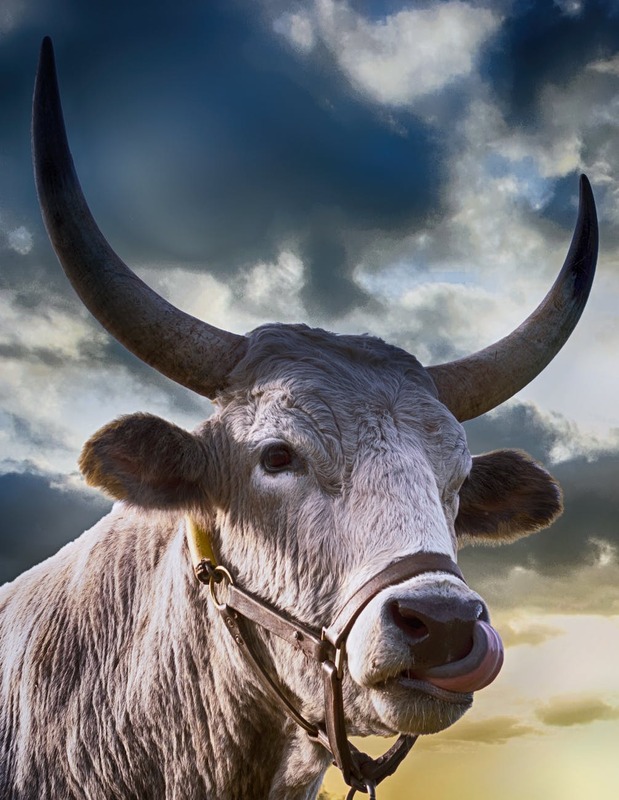 In dealing with the Ox, it is important to remember not only that the Metal is there but also that the Ox may deny this fact even to herself. The hour of the Ox (01-03.00) is the time that the worlds of spirit and flesh are closest. She has a deep spiritual agenda. The gifts of mediumship and divination are essentially Ox gifts. The Ox may be attached to ancestral dogma. Fundamentalism of all sorts – political and social as well as religious – is a common trait. She is not always good at questioning tradition or second-hand wisdom that has come down on good authority. She will often quote great men not because their words are wise but because they are great. With the Dragon, Dog and Sheep, the Ox forms the Literary Alliance. Some call this confluence the Four Earths and think of it as negative. The fact is that it is a demanding combination. If the Dragon is missing for instance, many think of it as poisonous but to see this as an assembly of the vehicles of expression without anything new to say is probably more like it. The coincidence of these animals is a challenge to a strong ba zi and can be the ruin of a weak one. Barack Obama may be the world’s most famous Ox and a good example. He actually has a Sheep in his month pillar. This makes for a home-loving and secure man. This is heightened by his day stem (the character that rules the day he was born) which has a special affinity both with the Ox and the Sheep. This like so many Oxen, is a man who loves his babies. Both UK Opposition Leader Jeremy Corbyn and Presidential contender Elizabeth Warren are Oxen also. Watch this space. The challenge to the Ox in 2019 is to make up for last year’s Dog. Three of the last four American Presidents (Clinton, W. Bush, Trump) have been 1946 Fire Dogs. The Fire Dog is past his peak now; time to make way. The current chaotic world order may represent this shift of power. 1958 Earth Dogs are now in their 2nd cycle of 60 years – it’s all revision now. But for the Ox, although there is a foreshadowing right now in the Ox month, real power beckons from early 2020. The Ox has a love-hate relationship with the irritatingly spontaneous and extrovert Horse to whom she can not help nonetheless being drawn. Nor is she that keen on the Rabbit who can help herself to the Ox’s fresh vegetables or the Tiger who somehow often manages to exploit her. The Ox is a rule follower. She’s willing to help but not an indiscriminate joiner. The Ox navigates through the darkness by feeling her way. Perhaps that made it possible for her to hide out in plain sight in 2018, unlike the Sheep with whom she shares the bullying punishment. In a Dog year there’s always someone waiting to cash in on your mutual disempowerment. It’s hard not to be bitter about that. In 2019, Ox and Sheep are looking at each other and thinking “You mean all this time we could have been friends?” It’s not too late. Appropriately then, the Ox’s job in 2019 is to be the Tin Yute. Her to do list includes coming to the rescue of those in an emergency state. You probably already know who it will be. And you will help even if they also blame you for their crisis. Your deep empathy makes it hard to say no, but you dislike having to come in at the chaos point of the last minute. Time to put aside your judgment. Not everyone shares your common sense. The term “dark horse” is more fitting for the Ox than the Horse. You’re always working but you’re a plodder. After toiling away in obscurity for years like Water Ox Tarana Burke (1973), you burst forth and startle everyone with the accumulation of your power. You can already feel the early stirrings of your fruition – a foreshadowing of 2020. Have you noticed Barack Obama, 1961 Metal Ox, is out and about again? His influence will be formidable in 2019 and 2020. With your yin nature perhaps you don’t know your own strength. A brief preview comes during December and January, but it’s not quite your moment yet. I can tell you more about that if you’re interested. An Ox is more sensitive than flexible. You’re the person in the room who gets confused as to which emotions are yours. You cry more than others because feelings demand expression to bring relief. Spending time in groups exhausting. Get your alone time; balance with expressing your care. In the first quarter of 2019 the lingering Earth of the Dog makes you feel you’re taking two steps forward, one step back. The end of April brings a more lasting relief from the fear that in putting your ideas forward, you’ll be attacked. People in power are paying attention and they feel a connection. If you want a promotion, pave the way in April and ask for it in December. The Ox uses her increased productivity in May to help the Snake out of a jam. You warned her about using the truth as currency but the Snake didn’t listen because she usually gets away with it. The Rooster will show up with similar issues, probably about relationship, in September. The intense emotions of November are nothing to worry about. This flood of feelings is meant to prepare you for the watershed that’s coming in December. All of the work you’ve been doing behind the scenes is about to pay off. At the end of 2019 you’re almost there.